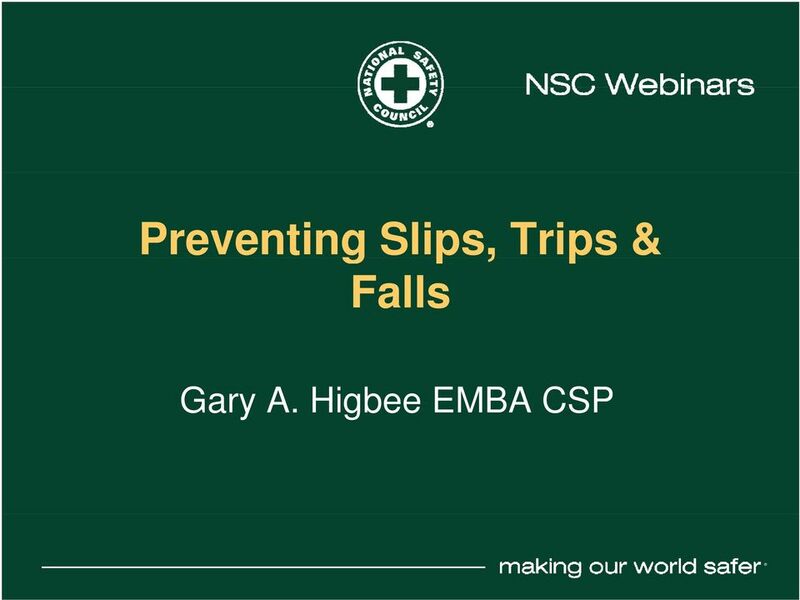 Download "Preventing Slips, Trips & Falls. Gary A. Higbee EMBA CSP"
3 Did You Know? 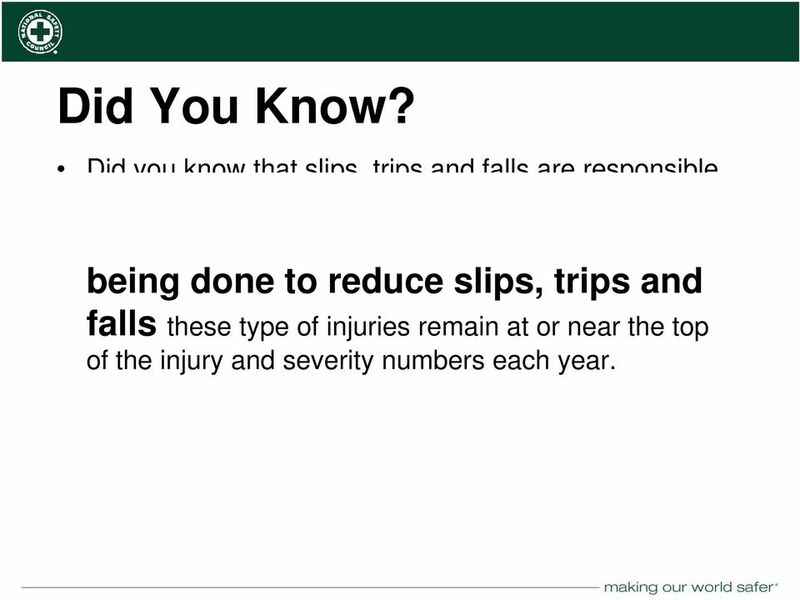 Did you know that slips trips and falls are responsible Did you know that slips, trips and falls are responsible for hundreds of workplace fatalities and thousands of recordable injuries every year? 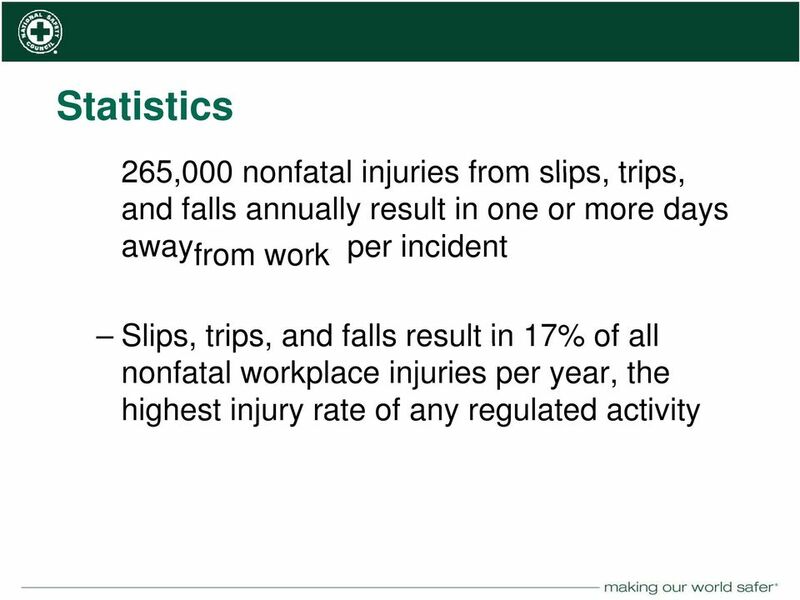 With all that is being done to reduce slips, trips and falls these type of injuries remain at or near the top of the injury and severity numbers each year. 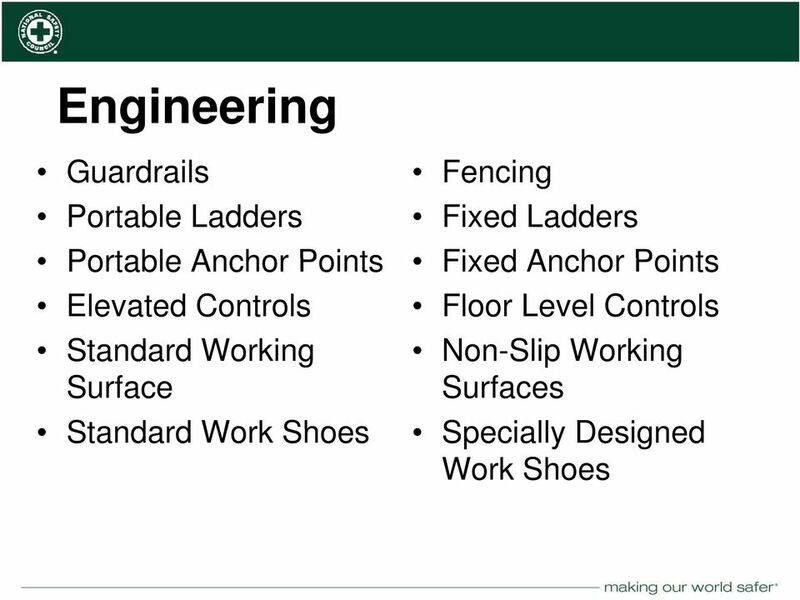 23 work areas for slip and trip hazards. General Are floor Surface openings Condition - properly Check floors in guarded aisles and (railings, mid- rails and toe boards or covers)? 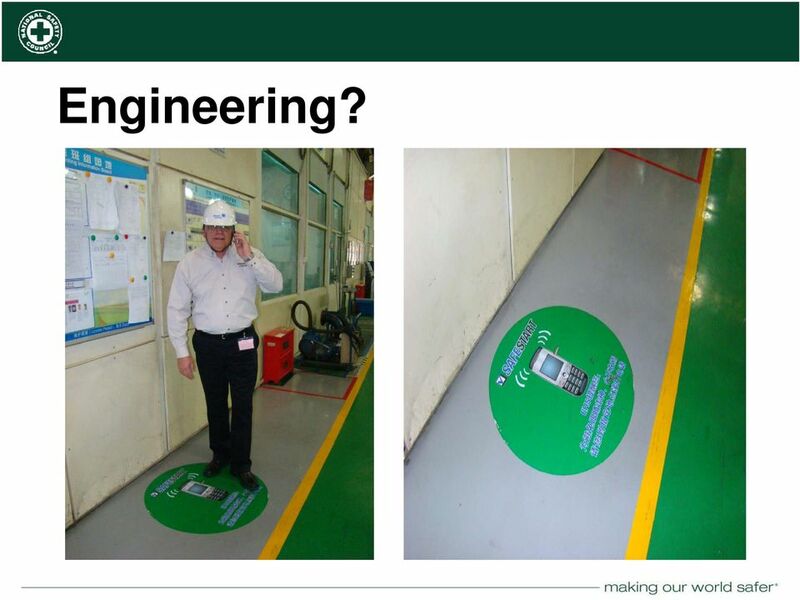 Are elevated work platforms 48" or higher (including top of machines) properly guarded? 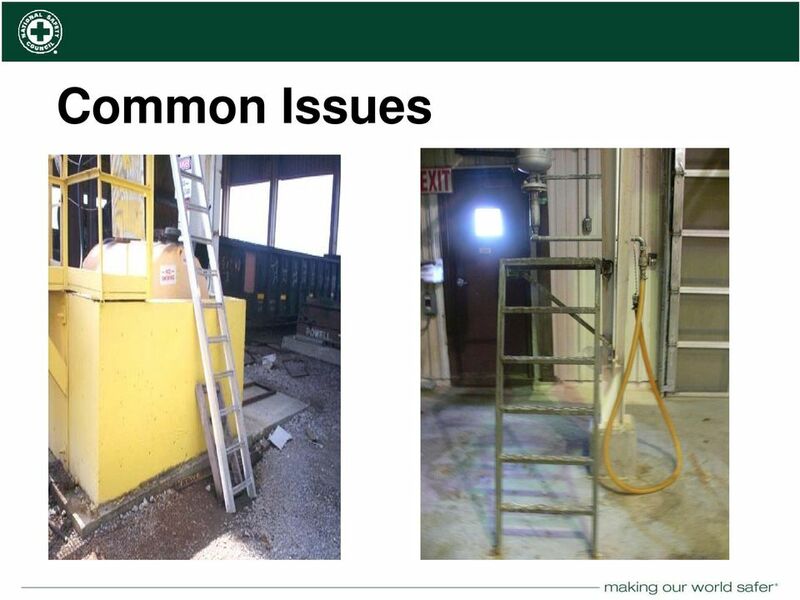 Check the overall condition of platform access ladders. Are elevated wall openings, doors, gates, etc. properly guarded? 24 17 FLOORS AND ELEVATED WORK PLATFORMS (MINIMUM 5 SCORING OBSERVATIONS) A General Surface Condition - Check aisles and work areas for slip and trip hazards. Are there and holes, surface damage/defects, etc.? 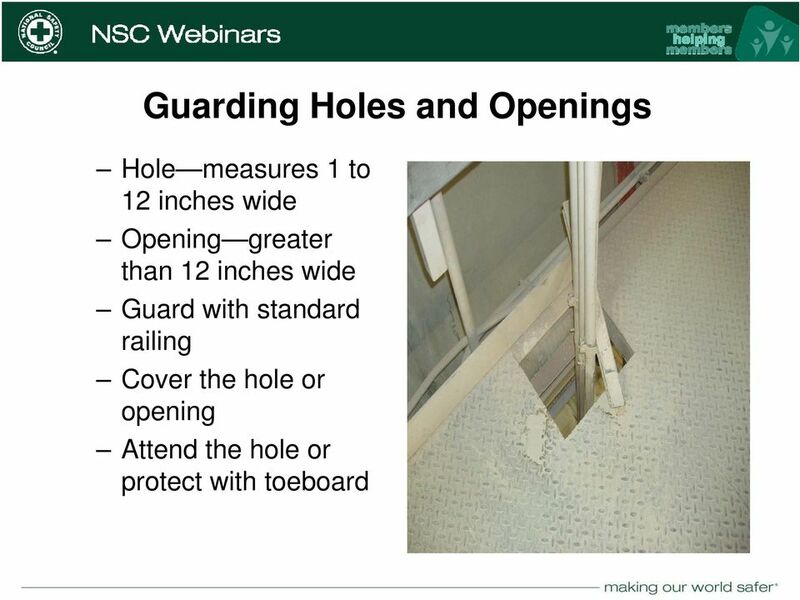 B Verify that floor openings are guarded by standard railings (including mid-rails and toe boards) or pit covers. 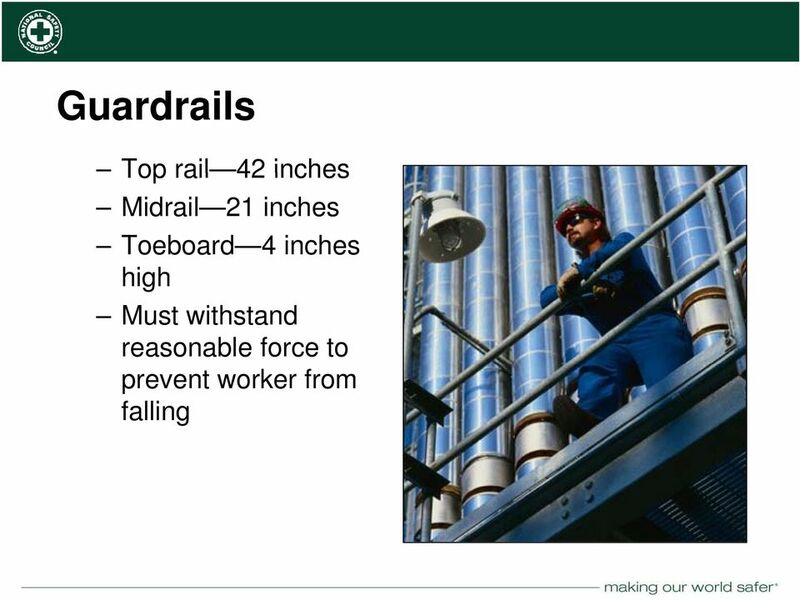 C Are elevated work platforms 48" or higher (including top of machines except presses), equipped with standard guardrails (42 top rail, mid-rail, and toe board where required)? D Check the overall condition of platform access ladders. Rung width minimum 16" with 7" clearance behind rung. Fall protection or safety cage is required on fixed ladders over 20' in height. Cage must start at a height of 7' to 8' from floor. Maximum 9.5" spaced opening between cage banding. Cage 27"-28" from center line of rung and flared no less than 4" at bottom. E Are elevated wall openings, doors, gates, etc. properly guarded? Should not swing out without properly guarded platform extension, should have barriers when open and not in use, toe boards where appli licable, grab handles, etc. 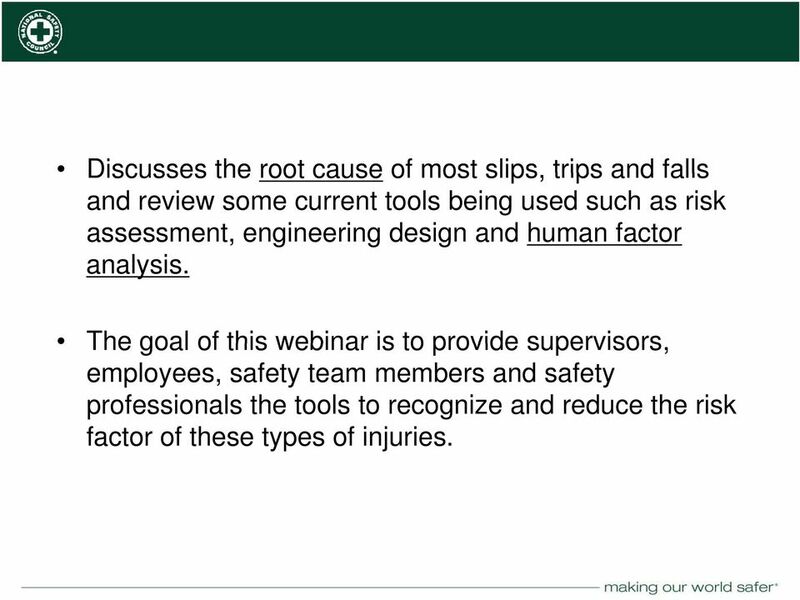 Risk Control Services Technical Bulletin Slip, Trip and Fall Prevention Background The average person takes between 3,000 and 5,000 steps a day (do the math that adds up to over 1 million steps a year). OFFICE SAFETY SLIPS/TRIPS/FALLS. This material was produced from a number of sources. 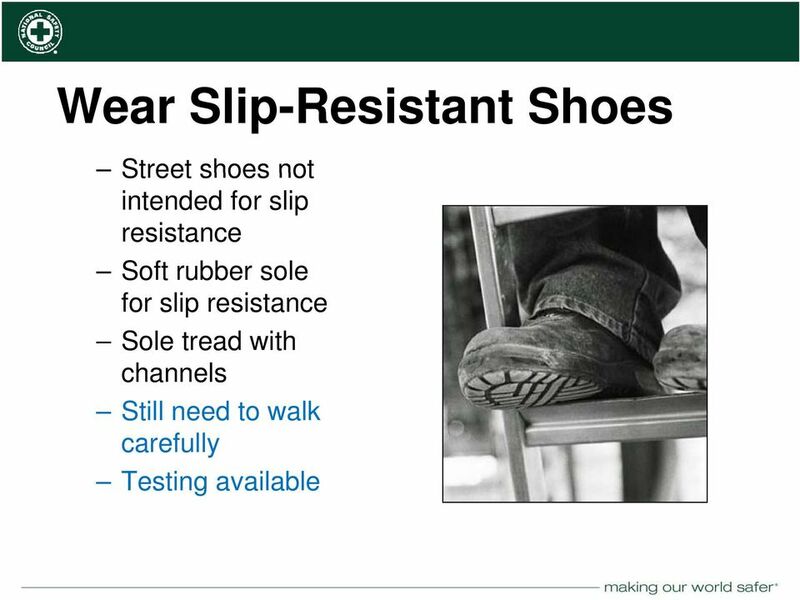 It is not intended to cover every slip/trip/fall situation. 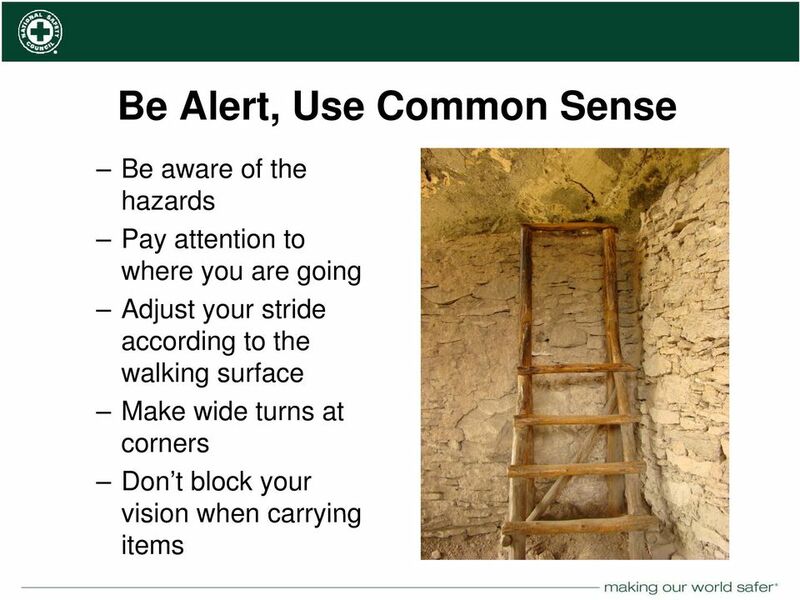 LADDER SAFETY AT WORK Purpose The purpose of this safety announcement is to inform and protect faculty and staff against injuries from possible hazards in the work/ school environment. 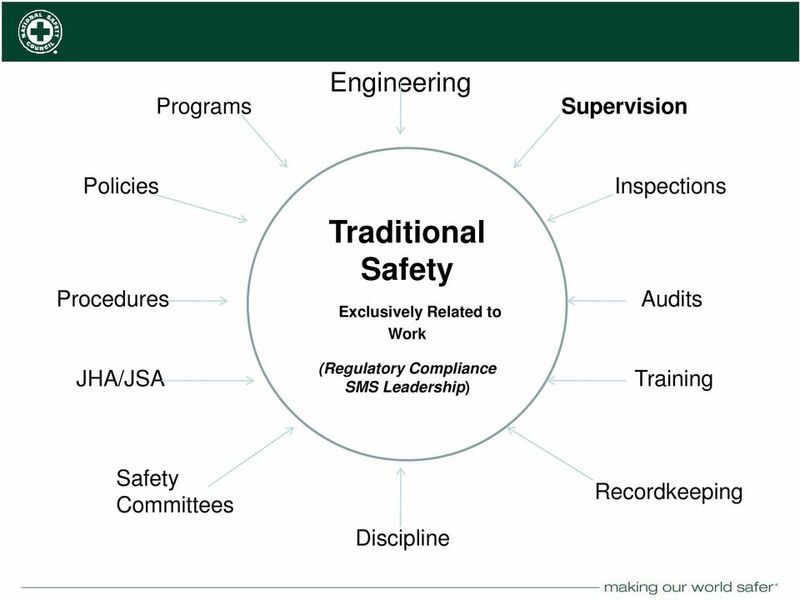 Guideline The U.S.
Safety and Health Policy and Procedure Manual FALL PROTECTION Section 0160 Table of Contents I. INTRODUCTION II. STANDARDS III. PURPOSE IV. SCOPE V. SCAFFOLDING VI. STAIRWAYS AND LADDERS A. Stairways B.
E3902 Seeing Accidents Before They Happen Leader s Guide ERI PRODUCTIONS INC. 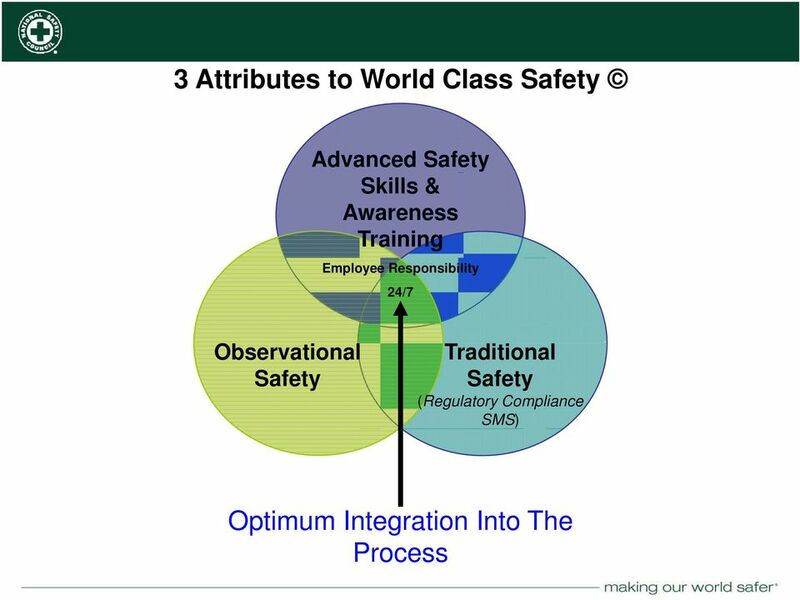 SEEING ACCIDENTS BEFORE THEY HAPPEN This easy-to-use Leader s Guide is provided to assist in conducting a successful presentation. 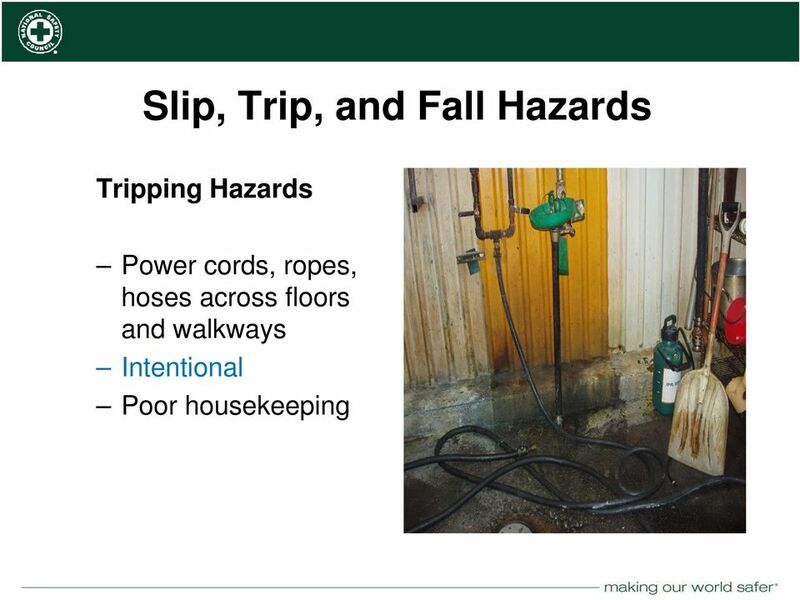 Slips, Trips, Falls ISABEL KRUEGER, CRSP Slips Trips and Falls HOW THEY HAPPEN AND WHAT WE CAN DO ABOUT IT. 1 Definition Slip too little friction or traction between a person s feet and the walking surface. This material was produced under grant number SH-17792-08-60-F-48 Occupational Safety and Health Administration, U.S. Department of Labor. Fall Protection, Title 29 Code of Federal Regulations (CFR) Part 45, Subpart M, Fall Protection, 1926.500, 1926.501, 1926.502, and1926. 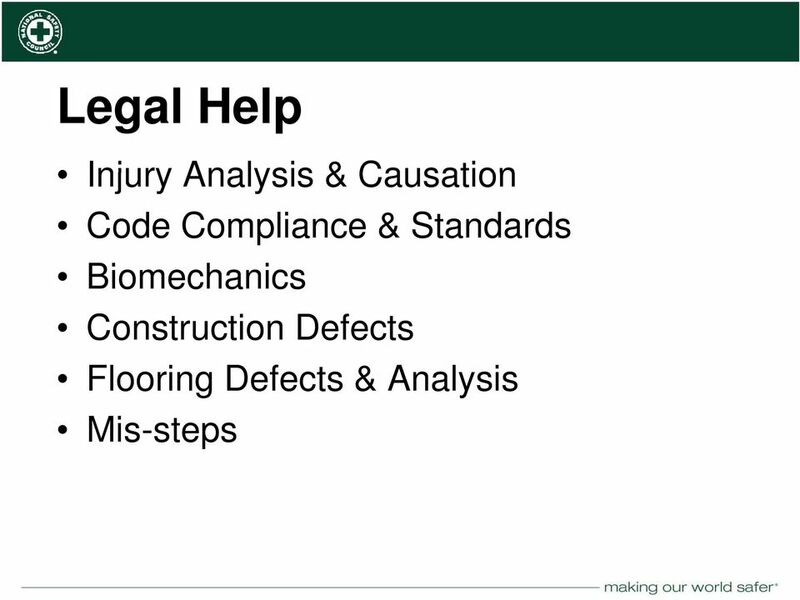 SCOPE This guideline applies to all construction projects on Emory University properties, including renovation projects. 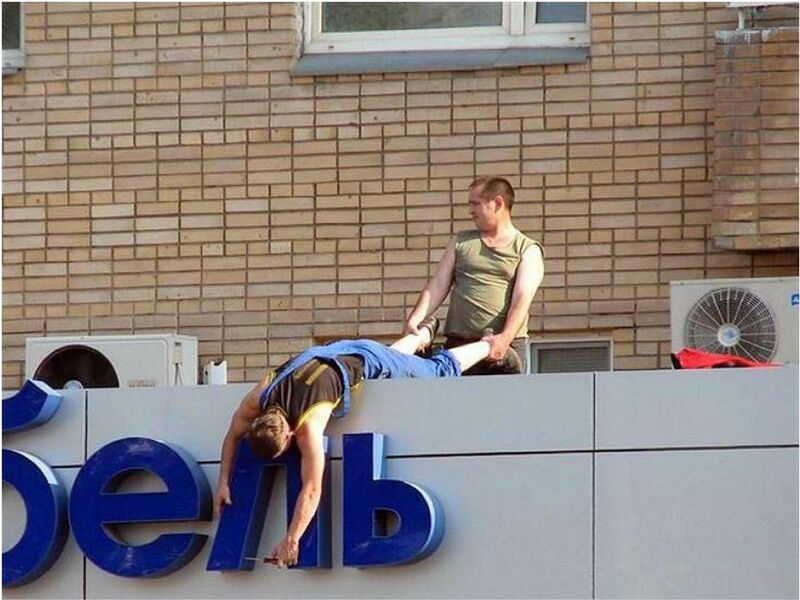 CONSTRUCTION SAFETY. NOTE: Barriers, guards, and warning signs are required to ensure safety against existing hazards. 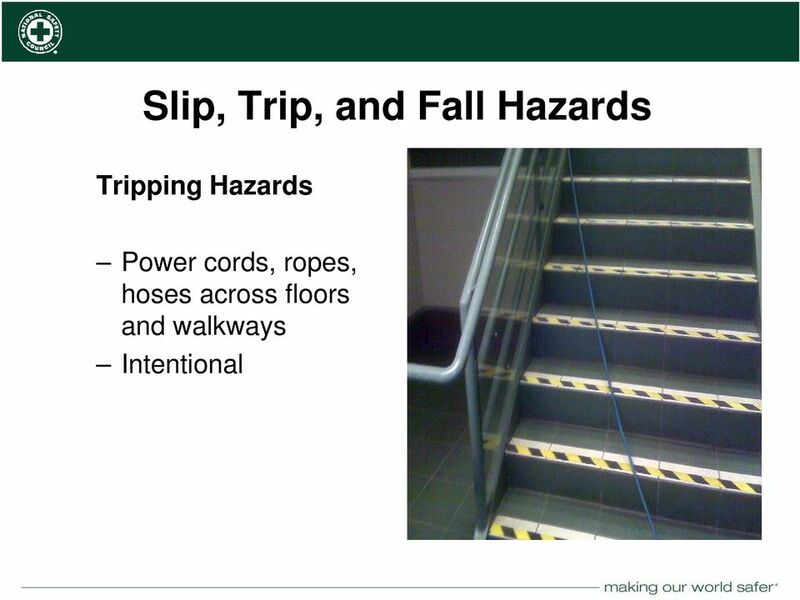 How to Prevent Slips, Trips, Falls For the Employees of Cascade County Walking is Risky Business Think about the things that you do frequently. Often these tasks are done without thought or planning. 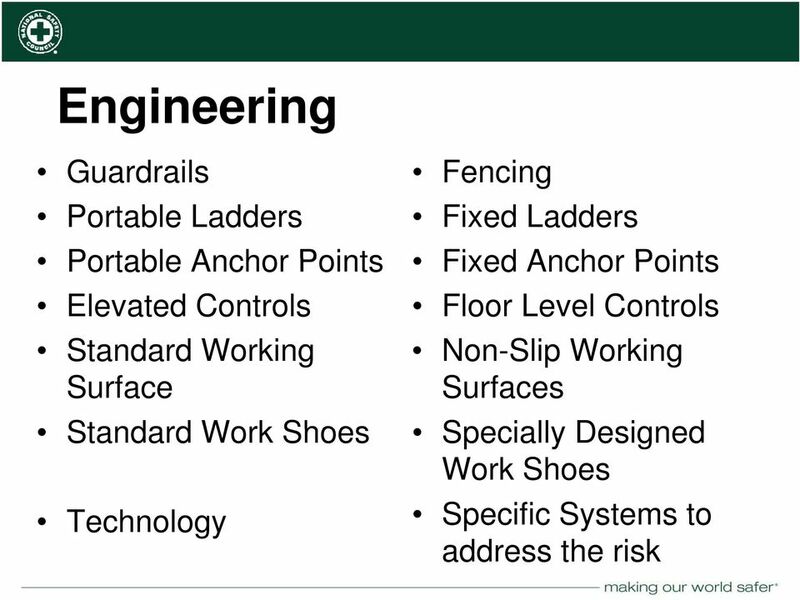 FALL PROTECTION WORK PLAN INSTRUCTIONS A written fall protection work plan must be implemented by each employer on a job site where a fall hazard of 10 feet or greater exists, in accordance with OSHA Standards. Fall protection systems and practices Duty to have fall protection Protection at or above 6' level. 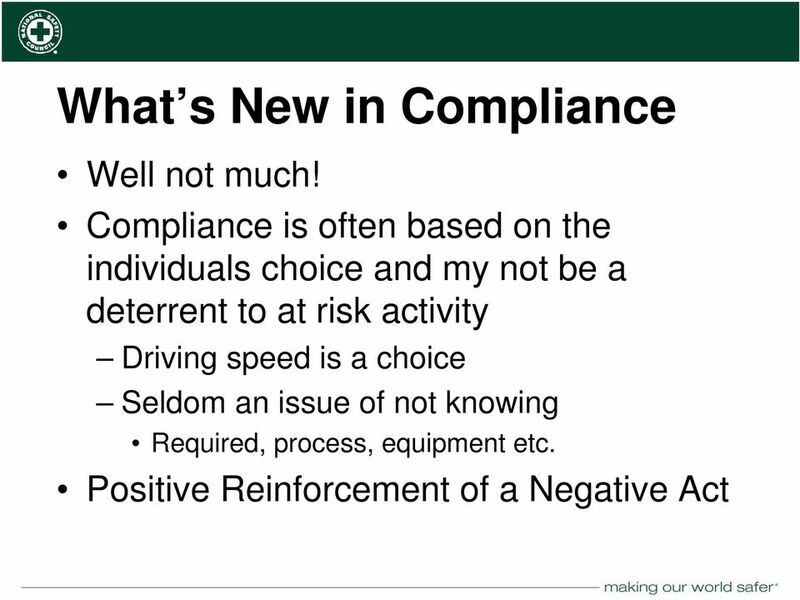 Workplace Transport Safety Falls from Vehicles Information Sheet Introduction Have certain work activities higher risks of falling from vehicles? Department of Environmental Health & Safety Procedures Ladder Safety Program March 2010 Ladder Safety Program Page 1 of 12 Table of Contents I. Introduction II. III. IV. 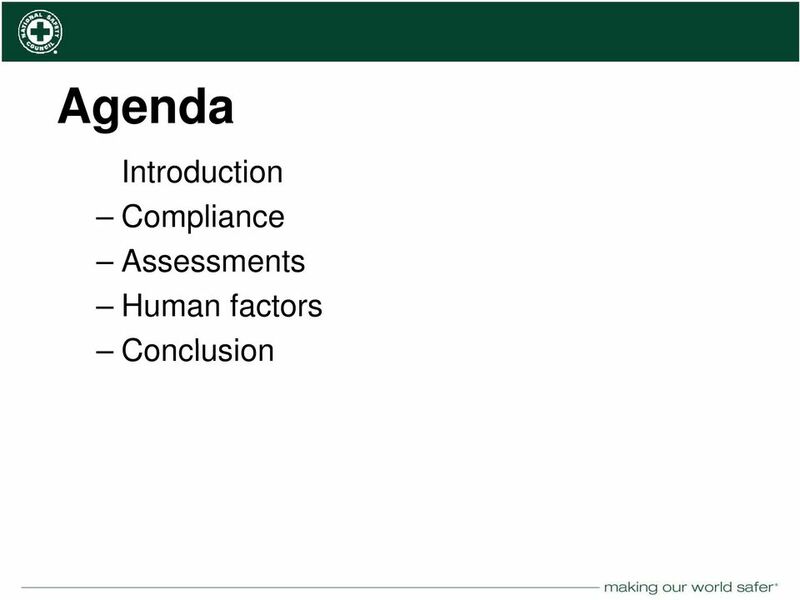 Policy Scope Responsibilities V.